Qantas has launched its new A380 schedule between Dubai and London, commencing July 21st 2014. Starting in time for the European summer, Qantas Flight QF9 will now depart Dubai International Airport at 09:10, offering customers a lunch time arrival into London. The current timetable has both A380 services to London departing within an hour of each other. Qantas regional general manager Middle East, Africa, India & South Asia, Rohan Garnett said the re-timed services meant more flexibility for customers travelling between Dubai and London. “Qantas offers double daily A380 services between Dubai and London. “Our new schedule means our customers now have a choice of arriving in London early in the morning or at lunchtime” he added. Qantas operates double daily A380 services between Dubai, London and Australia. 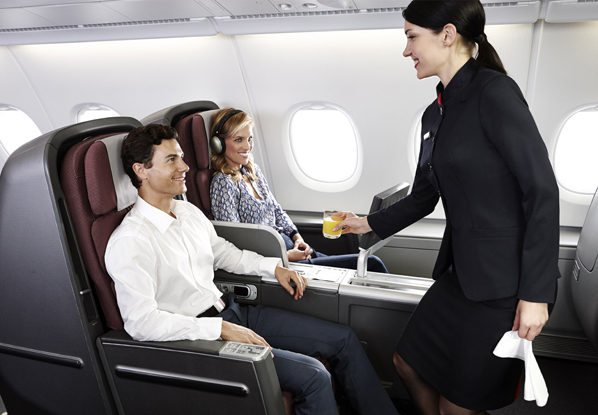 Qantas customers travelling in Business and Premium Economy between Dubai and London can take advantage of Select on Q-Eat allowing customers to pre-order their meal from the Neil Perry inspired menu prior to flying, offering more choice, including an additional dish available as an online exclusive on select routes. Customers can pre-order their choice of meal between seven days and 12 hours prior to departure via ‘Manage Your Booking’ at qantas.com.